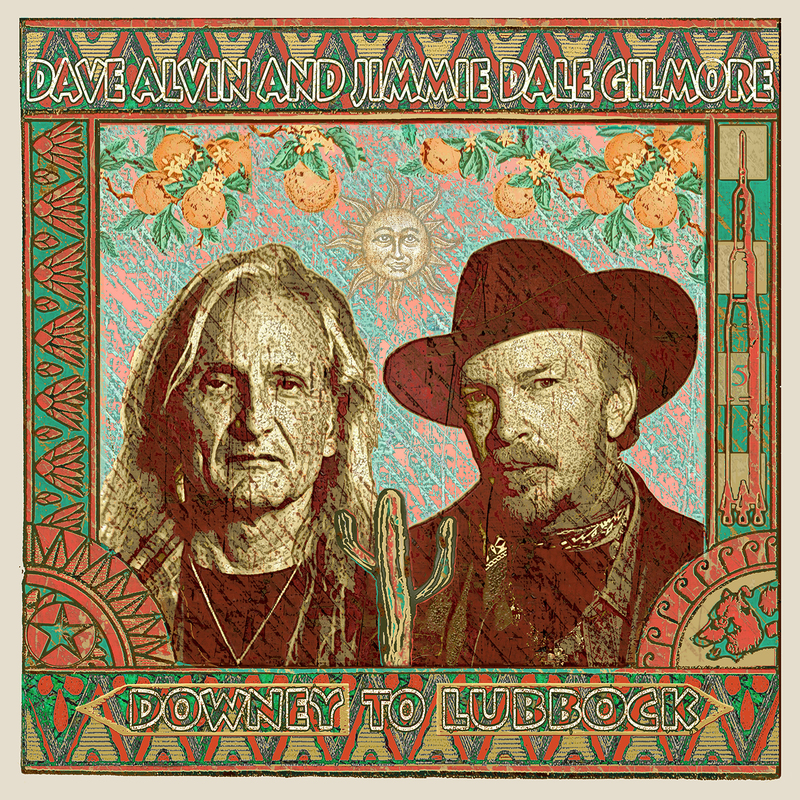 Last October, Dave Alvin and Jimmie Dale Gilmore hit the road together for a 12-city acoustic tour. What began as a one-off opportunity to share songs and swap harmonies has since turned into a full-fledged duo, with two songwriters now gearing up for the June release of their first collaborative album, Downey to Lubbock. Named after Alvin’s California hometown of Downey, California, and Gilmore’s birthplace of Lubbock, Texas, the record will double down on the pair’s fascination with American roots music, which they’ve explored separately since Alvin founded roots punk group the Blasters and Gilmore was a member of country trio the Flatlanders. Ten of the album’s dozen songs are covers, including unique interpretations of songs popularized by Lightnin’ Hopkins, Brownie McGhee, Woody Guthrie and Johnny “Guitar” Watson. While the tracklist spans an entire century of music, there are contemporary covers, too, with the pair putting a unique stamp on tracks by the late Steve Young, John Stewart and Chris Gaffney. It’s during the two original tracks, however, that Alvin and Gilmore show the full extent of their combined forces. Written by Alvin, the album highlight “Billy The Kid and Geronimo” imagines the two titular characters sitting down together in a bar, debating everything from ethics to injustice. Although hailing from different backgrounds, they manage to find common ground — not unlike Alvin and Gilmore themselves.